Summer has finally arrived in Denmark and DJ Svoger is enjoying every second in the company of good friends and great music. That is why this month’s mixtape is a tribute to all our close friends and far away followers. 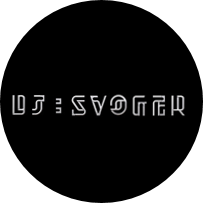 Many of our close friends, who of course follows DJ Svoger, do not always welcome our passion for deep and heavy house beats which our mixtapes often contains. So this month we have added a bit more groovy pop flavour than usual, with many recognizable tracks in new remixes. This will hopefully create some joy of recognition, especially when it’s Janet Jackson, Whitney Houston, Missy Elliott, Soul II Soul, Marlena Shaw and Craig David that invites you to hit the dancefloor. But don’t worry househeads… there is still lots of quality dance music to all you aficionados out there – with new delights from Coleco, Figgy and Gorgon City, and this mixtape also contains a unique and unreleased track, so please pay attention to this new british project; Ku De Ta, which is pronounced ko̅o̅′ dā-tä′, and their great work with the Soul II Soul classic “Back to Life”. Enjoy responsibly with unrestrained dancemoves!